Millennials may not respond to celebrity endorsements, but they should still take notice of collaborations. There’s a big difference, especially on cruise ships. Recently, eMarketer reported that a Roth Capital Partners survey found U.S. millennial internet users were simply not impressed by celebrity endorsements. Specifically, 78 percent fell into the category of either disagreeing with or feeling indifferent towards a celebrity’s stamp of approval affecting their purchases. I definitely understand the majority sentiment. Just because William Shatner advertises for Priceline does not mean I or any of my generation are any more inclined to use the company’s services. It's simple: We see and understand the inner workings of advertising. We know that celebrities are paid good money to say things and use products to sway our opinions even if they are done so artificially. Perhaps we are the descendants of the“Mad Men” generation. We see you Don Draper, and we know you’re fake. Yes, we are indeed the market that cherishes authentic experiences. Celebrity endorsements do not match up with that way of living. It’s no longer enough for Kathie Lee Gifford to be the spokesperson of Carnival Cruise Line as she once was. Now she is a partner bringing her GIFFT Collection of wines for sale onboard. It may still be a bit of an homage to her television commercial days, but it’s heading in a direction that better resonates. The difference is that she’s not just talking about the company; she’s contributing to its DNA. It would be one thing for Guy Fieri to say he likes Carnival, but he’s more a part of the brand as a full-on collaborator. His hugely popular Guy’s Burger Joint is now synonymous with the cruise line because you can actually eat his great gourmet burgers onboard for free. That is a genuine experience, and it goes all the way to the top echelon of cruising. Chef Thomas Keller does not merely endorse Seabourn. He crafts cuisine for the luxury line, elevating it in the process. His exclusive specialty restaurants astound my palate with their culinary genius, but his words alone would not have the same effect. 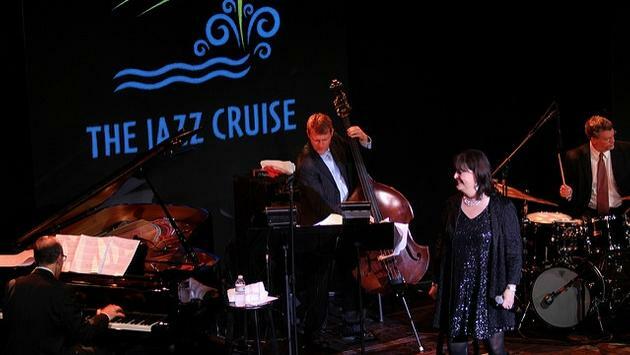 Holland America Line takes it a step farther. In partnership with O, The Oprah Magazine, the company not only provides onboard programming from Mrs. Winfrey’s brand but Oprah herself. This year in Alaska, fans had the chance to meet the icon and ask her questions in an intimate setting not found anywhere else. 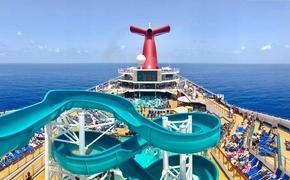 READ MORE: Are Cruise Line and Brand Partnerships Enough to Satisfy? It’s the reason why theme cruises, in general, are so successful. Embarking for a music festival or celebration of “Star Trek” or “The Walking Dead” comes with the opportunity to actually rub shoulders with celebrities. All of this is to say that millennials are not interested in old-school endorsements, but we and the industry at large shouldn’t forget that collaborations with our favorites are a sweet spot for getting our attention. I am still very interested to see what the next great celebrity partnership at sea will be. There remain lots of possibilities.